Get the best sales and marketing advice from a local REALTOR® for your property. A home is vital in every sense, not least in a financial one. As well as being the emotional centrepoint of life for you and your family, your home is also likely to be your most valuable piece of equity. You owe it to yourself, to your family and to the years that you have spent in your home to get the best deal when the time comes to sell. In order to get the best deal, you need assistance. Christine is able to provide this assistance, giving you the benefit of her expert knowledge of the housing market local to the Southern Georgian Bay area. Let Christine serve as your ally in selling your home, using her in-depth legal knowledge of the ins and outs of property transactions to help you navigate these daunting waters. 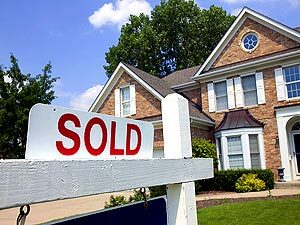 It is a widely accepted fact that selling and moving a house is one of the most stressful processes in life. Letting go of a house with such a strong emotional attachment can be difficult and handling the ups and downs of all the legal paperwork that comes with the sale only compounds this difficulty. This is why Christine is on hand to help make the process that little bit easier. She can provide you with a wealth of resources on this web site to help you make sense of it all. That way, you can go into the selling process confident about how it works from start to finish. As a Seller you will need to do the following. Gain a solid understanding of your motivation to sell and your objectives for the sale. Choose the right REALTOR® who can help you get the best deal. Set a realistic asking price that maximises both the chances of a sale and your personal profit from it. Prepare your home for the sale and make it as attractive as possible to prospective Buyers. Market your home through as many channels as possible, ensuring maximum exposure and gaining the best chance of a good deal. Negotiate a mutually beneficial deal for both Buyer and Seller. See the transaction through to completion. This can be a tall order for those who opt to go it alone. Do not be tempted to take this route; instead, enlist the help in completing this checklist by letting an experiance Southern Georgian Bay real estate agent assist you in getting the best deal possible for your home. When you are ready to sell your home contact Christine Smith by email or call (705) 888-0201 to learn more about what she can do for you!